BOISE STATE MEN'S BASKETBALL IS BACK! 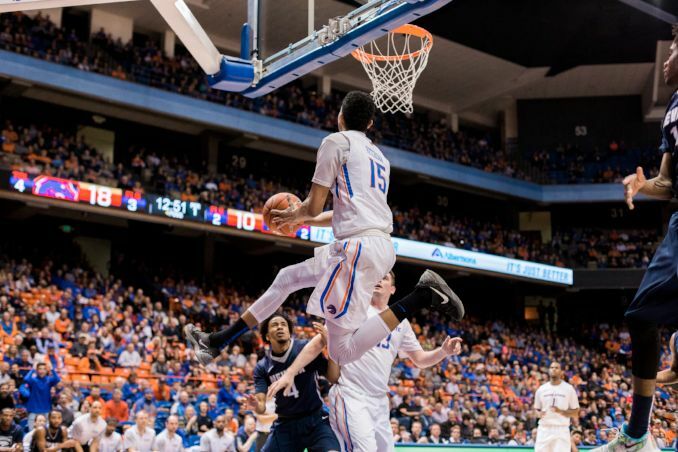 BOISE, Idaho – The Boise State men's basketball team announced the non-conference portion of its schedule, Monday. The Broncos' 13-game non-conference schedule will include six games at Taco Bell Arena, four true road games and three games on a neutral court in George Town, Cayman Islands. "We're extremely pleased with our non-conference schedule this season," head coach Leon Rice said. "It's going to be an exciting couple of months playing some of the top teams in the country. We can't wait to see this group come together and tackle the challenges that come with a tough non-conference slate." Before officially beginning the 2018-19 season, Boise State will open with a home exhibition against Vanguard (Nov. 5). The season kicks off with a Nov. 10 matchup against in-state opponent Idaho State at Taco Bell Arena. The Broncos lead the all-time series against the Bengals, 52-41, and are winners of the last six games. Boise State will stay at home and welcome Jackson State to the Treasure Valley, Nov. 16. The matchup will be an MTE (multi-team event) game as a part of the Cayman Islands Classic. The team will then head south to George Town, Cayman Islands for the Cayman Islands Classic from Nov. 19-21. The Blue and Orange will open the tournament against Creighton and face either St. Bonaventure or Georgia State the following day. Akron, Clemson, Georgia and Illinois State will also be in the tournament. The opening game at the classic between the Broncos and Bluejays will be the second-ever meeting between the two teams, as the first matchup in the 2012-13 season saw Boise State pick up the season-defining win in upsetting then-No. 11 ranked Creighton in Omaha by a score of 83-70. The Broncos will then travel to Des Moines, Iowa and face Drake (Nov. 27) as a part of the 2018 Mountain West/Missouri Valley Challenge. The game will mark the third all-time meeting between the two teams, as they last played each other in head coach Leon Rice's first two seasons at the helm. The first matchup in 2010 saw the Bulldogs claim the 72-69 victory in Des Moines, but the Broncos tied the all-time series at 1-1 the following season in 2011 with a 108-64 win at home. Boise State will play its fifth-straight game away from home when they take on Grand Canyon, Dec. 1, in Phoenix, Ariz. The Broncos edged the Lopes last season, 85-80, in a game that went to double overtime at Taco Bell Arena. A week after facing Grand Canyon, the Broncos will face Central Washington back at home, Dec. 8. The homestand at Taco Bell Arena will continue Dec. 12 with a game against Alabama State. Boise State has never faced the Wildcats or Hornets. The Broncos will then head west to Eugene, Ore., for the first of two games against Oregon, with the first set for Dec. 15 at Matthew Knight Arena. Boise State trails in the all-time series (2-6), but are winners of two of the last three games against the Ducks. The Blue and Orange stay on the road and travel to Los Angeles for a matchup against Loyola Marymount (Dec. 19). Boise State has won its last five games against the Lions, including victories in each of the last four seasons. The non-conference slate will conclude with two home games, the first of which is a Dec. 22 matchup with Pacific. The Broncos will break for the holidays and return for the premier non-conference game of the season – a rematch against the Ducks (Dec. 29) at Taco Bell Arena. The conference schedule has already been released, and the Mountain West will announce tip times, broadcast information and what games shift from Wednesday to Tuesday and Saturday to Sunday in the coming month. Secure your seat for all 15 home games now and purchase a 2018-19 season ticket. Tickets can be purchased online at BroncoSports.com/tickets, over the phone at 208-426-4737 or in person at the Boise State Athletic Ticket Office located on the west side of Albertsons Stadium. 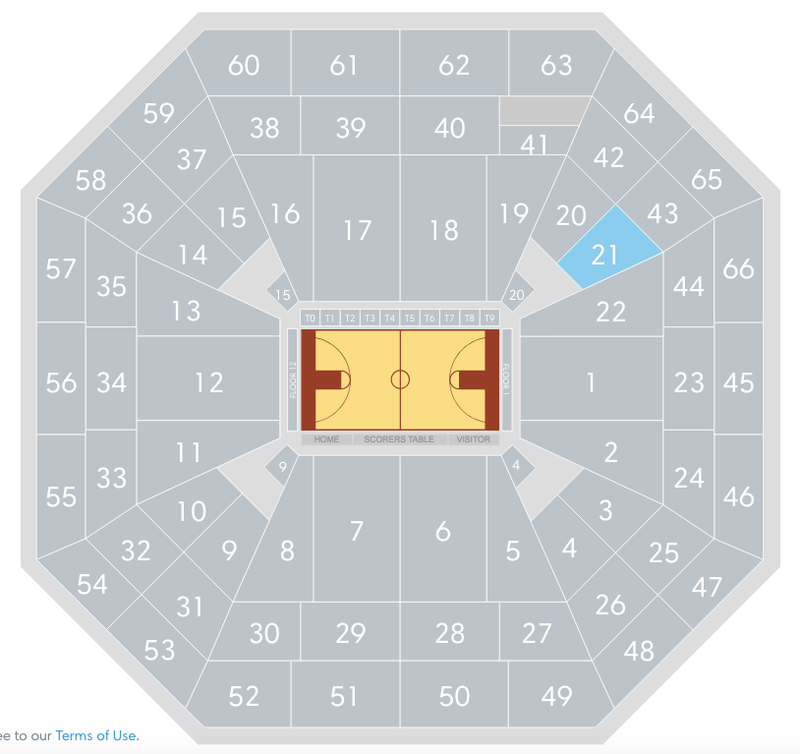 Season tickets start at $164 per seat. Ticket Info Single-game tickets are available online in addition to the full season ticket. Tickets may not be available day-of the game, so grab yours in advance online!